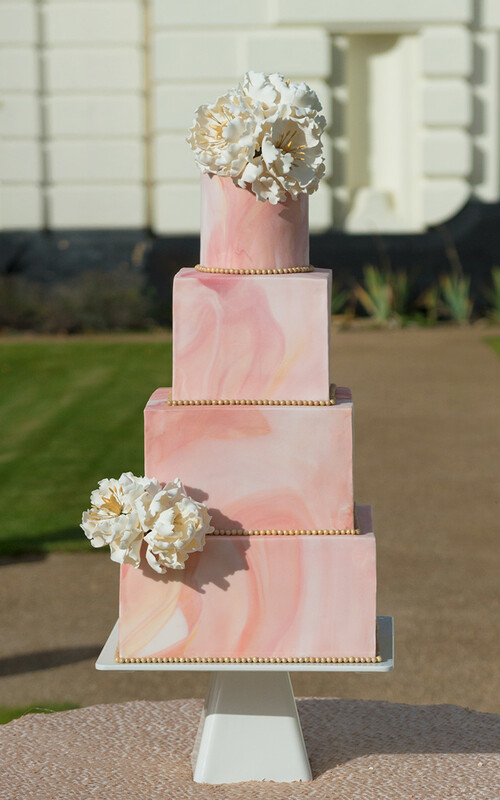 Asian Wedding Cake custom designed modern marble peony 4 tier cake. 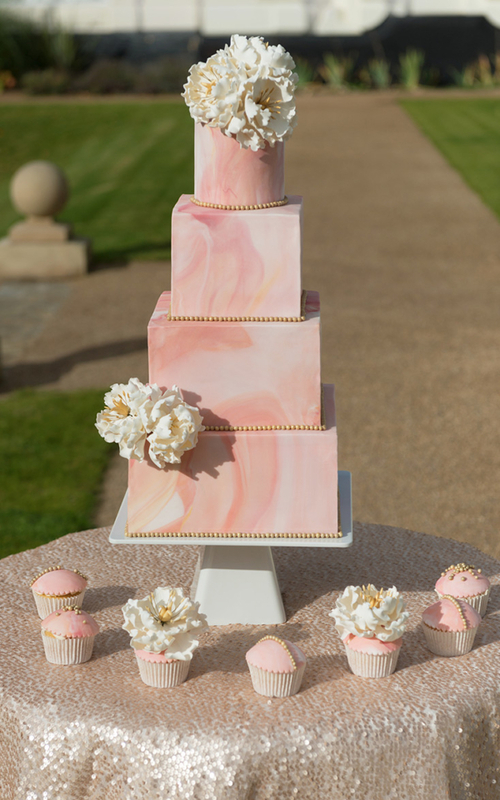 Marble peony asian wedding cake – This grand four tiered cake has a modern silhouette with square and round tiers. 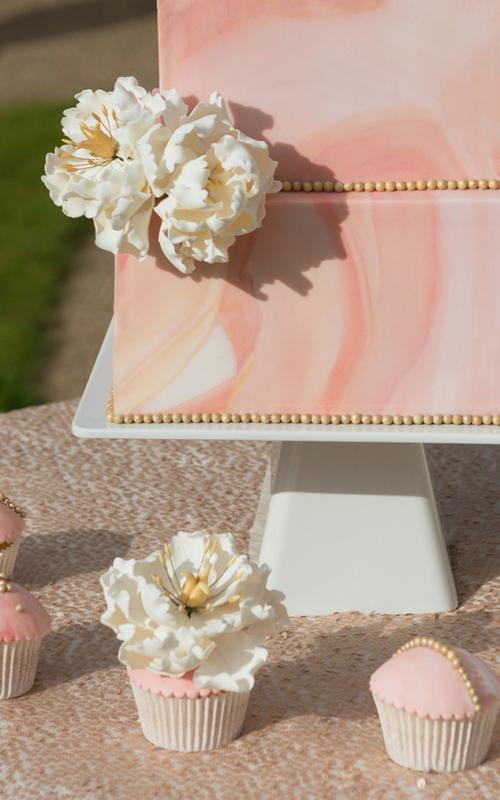 Covered with an impressive marble effect in customized muted asian inspired shades of blush, peach, and orange. Hundreds of hand crafted gold pearls adorn the borders of the tiers for a touch of glamour. 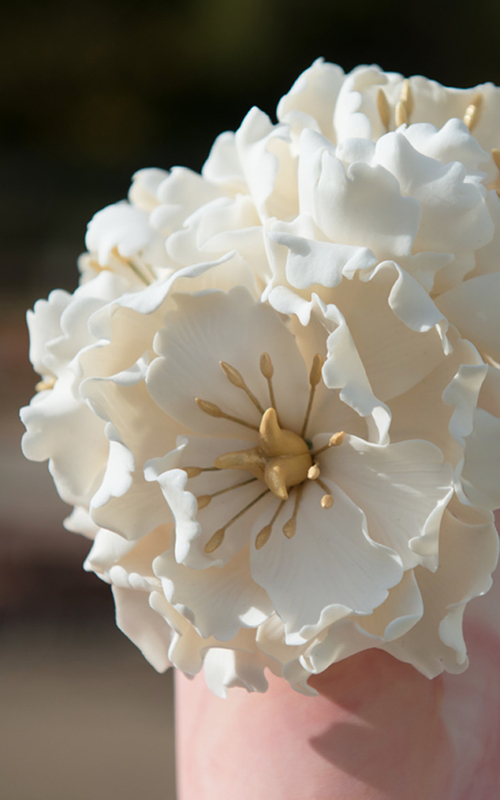 Further embellished with our delicate signature peonies.